Anyone who’s been far out in the ocean understands the importance of marine radios. I had a friend a few weeks ago tag along for a fishing trip who was dumbfounded that my boat still had a radio, and he said something along the lines of “But why don’t you just use your cell phone?”, to which I had to explain that there aren’t all that many network towers out in the ocean, so there’s no coverage, and he realised just how dumb his question was. Then I had to explain marine radios in depth, which wasn’t necessarily a bad thing, as it gave us something to talk about for quite some time. So I figured how much I actually know about this topic and there’s no reason not to share with you this useful info. There are many different types, styles, and brands of marine band CB radios. There are handheld, as well as fixed models that provide a variety of features for specific situations. 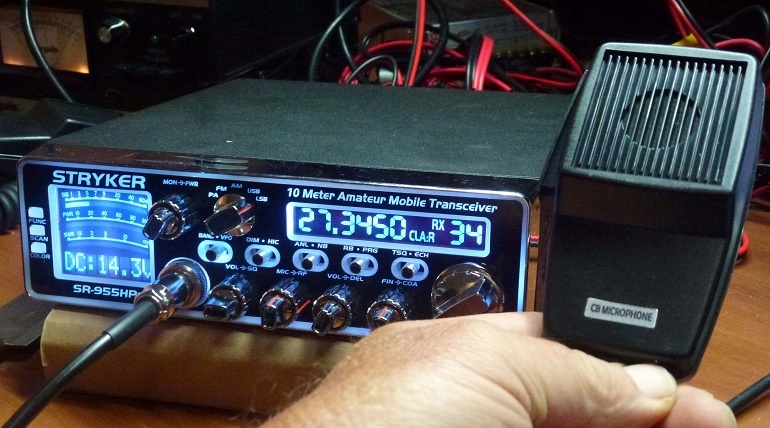 A lot of people think that you need a license to operate with marine band CB radios, which isn’t necessarily true. In fact, you only need one if you’re operating a commercial boat. Handheld radios aren’t mounted to the boat’s dash, and they’re highly portable, which is a great feature for people who own a larger boat, or need to get on and off the boat. These radios are designed to float on water in case you drop them, and of course, almost all models are waterproof to some extent. However, handheld radios aren’t as powerful as fixed radios, and most of them can only get a signal about 20km off the shore. This is mainly due to the fact that they are limited to about 6-10 watts of power, but you can add an extra antenna for more range. The main concern with handheld radios is their battery, but you can get a cradle and install a 12v marine to charge it on the go. Without charging, handheld radios usually last anywhere between 5-20 hours, depending on the quality and the type of battery they use. Some models that have an LCD display can have the brightness toned down to improve battery life, however, having backup batteries is always a good idea, just to be on the safe side. Fixed marine radios, on the other hand, are more functional, and they can require as much as 25 watts to operate. This means that you can get a better more range with them, and you need to install them onto your boat’s electrical system. Generally, fixed radios come with an antenna to boost signal power. You should install the antenna as high as possible to avoid getting it wet as well as for providing the radio with a better signal. ← My New Love: Acoustic Guitars!